Exhaust throttle valves (also know as thermal management valves) are used for dynamically controlling the exhaust flow in emission control systems. These valves are also used for cold ambient protection, DPF (diesel particulate filter) regeneration and auxiliary braking. 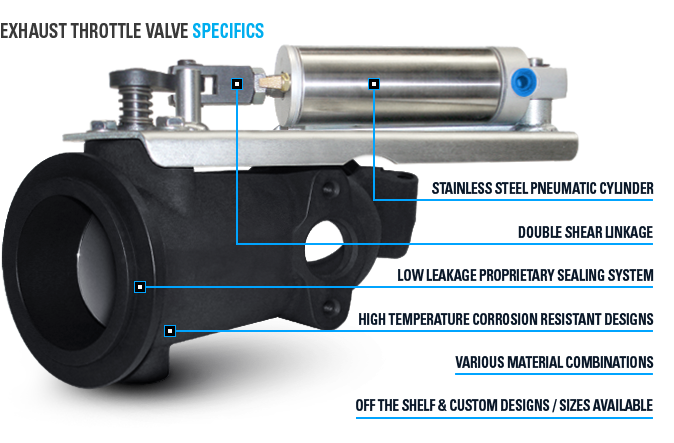 Pacbrake is the #1 manufacturer of these valves in North America and offers off the shelf valves as well as custom designs. Custom valves can incorporate dosers, NOx sensors, lambda sensors and other add-on devices.